So cute! I love it, Go Eric! He did a great job. She will love it! Erik, You did a great job! I can see you have your mom's talent. I am sure your girlfriend will love the fact that you took the extra time to make her something special. Great job Erik- Your girlfriend will love it! Katie, You cracked me up with the recipe. My 14 year old daughters spent the day putting together Target mailboes for their friends today. Love seeing the kids involved in crafting. Tell Eric I am very impressed. I am sure his girl will be too. What a beautiful card! Most important...what a beautiful memory for Mom and Son! I know the young lady that receives this card must be special! 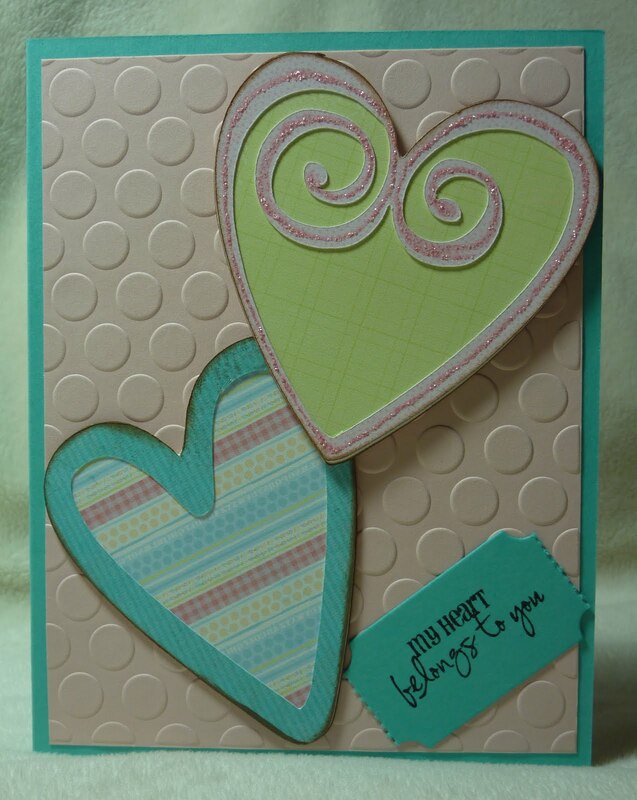 Thank you so much for sharing this Valentine story! Great job Eric! She'll love it and obviously your mom is proud of you by sharing it with us. Great card and envie. Bet his girlfriend loves the valentine. He did a great job! It's fabulous! Eric - you did a wonderful job! Your girlfriend is so very lucky to have you! Not many teenage boys would do that for their girls! Eric, you did a great job! Your girlfriend will love it! Great job, Eric! I bet she loves it!!! Great job, Eric!! 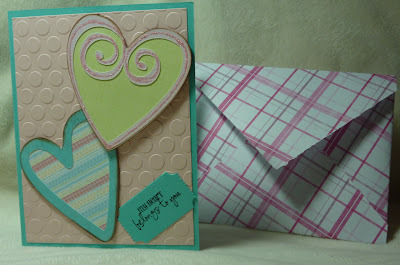 I love the colors you used and this will make your card stand out and be special! Love it and love the fact that he actually made it. My kids just want me to make things for them without them doing any of the work.